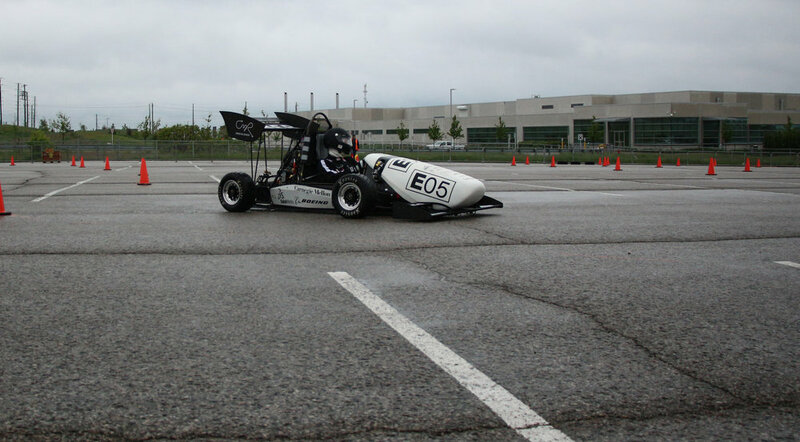 Formula SAE is an annual competition for undergraduates and graduates to design and construct a single-seat race car for an autocross race hosted every year. The competition is based on each car's overall package of design, construction, performance, and cost. 17E is Carnegie Mellon's fourth fully electric car. As the team designer, I designed the exterior body, working in conjunction with electrical & mechanical engineers. I also led team branding, website design, and designed a build document that details each system of the car. In addition to being a confluence of aerodynamics, housing of internals, and protection of the driver, the body also functions as a significant, subliminal aesthetic component that wholly sways a viewer's perception of the car. Elements of the car's body include the overall physical form, surface features, color, and livery, all of which must fall within the constraints implemented by the FSAE rule book.